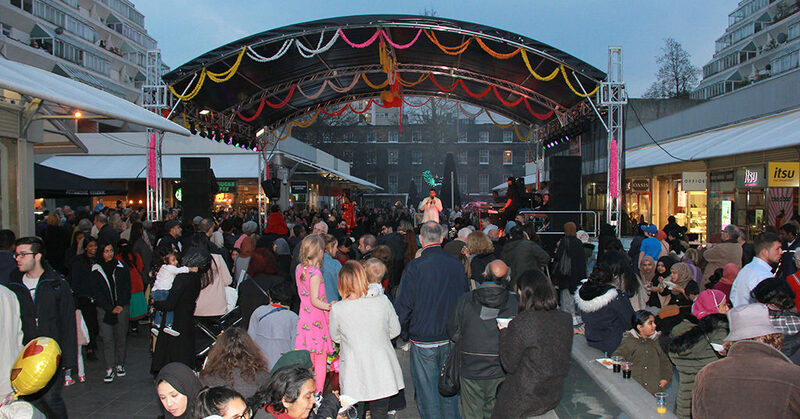 Nine thousand Londoners turned out to join us on Saturday 30th March and enjoy a night of FREE high-energy Bollywood inspired fun, here in the heart of Bloomsbury. 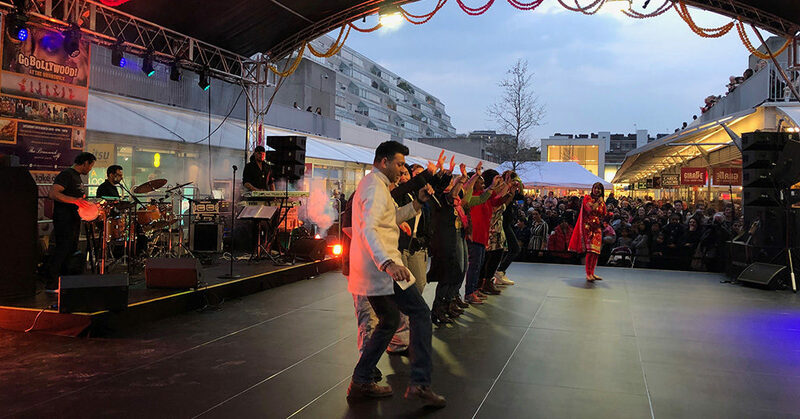 ‘Go Bollywood’ took place between 6pm and 10pm and saw the centre come alive with the sights, sounds and aromas of traditional and contemporary Indian culture, as we celebrated all things Bollywood. 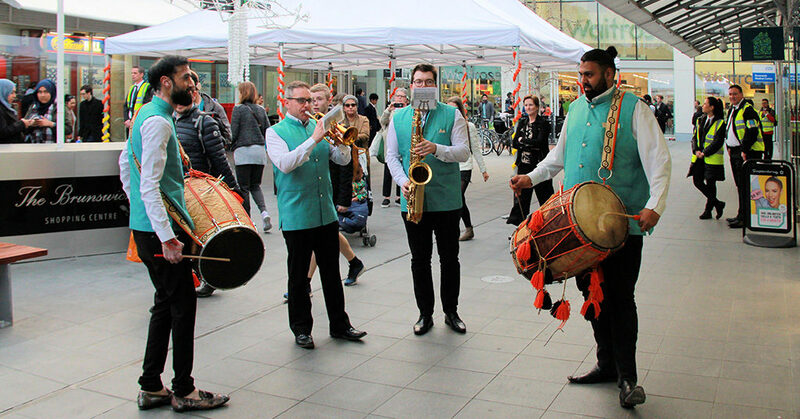 Guests were welcomed by Anand’s Baja Band who walked the centre and enticed the crowds with their epic drum and brass Bollywood sounds, while DJ Rav spun some brilliant Bollywood tunes on the decks throughout the night to keep everyone entertained. 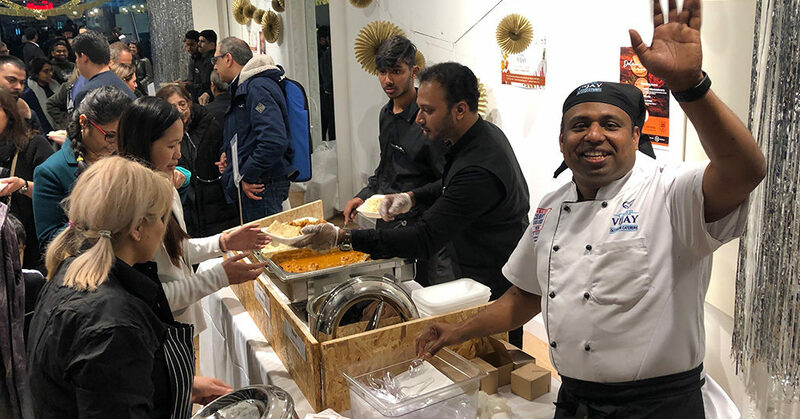 Chef Vijay cooked up a storm – filling the air with the exotic aromas of Indian cuisine and serving up a delicious menu of curries for everyone to enjoy, completely FREE of charge. 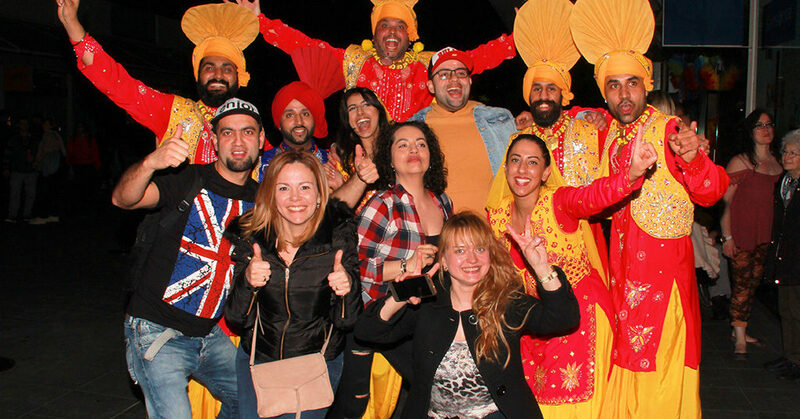 The entertainment continued on our stage with lively dance performances, with the amazing VP Bhangra Dancers – an incredible group of high energy colourful dancers, performing to an infectious beat that got the huge crowds moving and grooving to the pulses of the east. The Bollywood Vibes Dancers showed guests how to twist and wind to the Bollywood beats – with many joining them on the stage and prizes claimed by many who got involved. Jin and Seetal’s Bhangra Band kept the Bollywood vibes flowing with popular Indian tunes and enchanting vocals, entertaining visitors into the night, and The Raga Duo’s mesmerising sitar virtuoso sounds and exciting tabla rhythms immersed guests in the cultural vibe from the food hub and the stage. 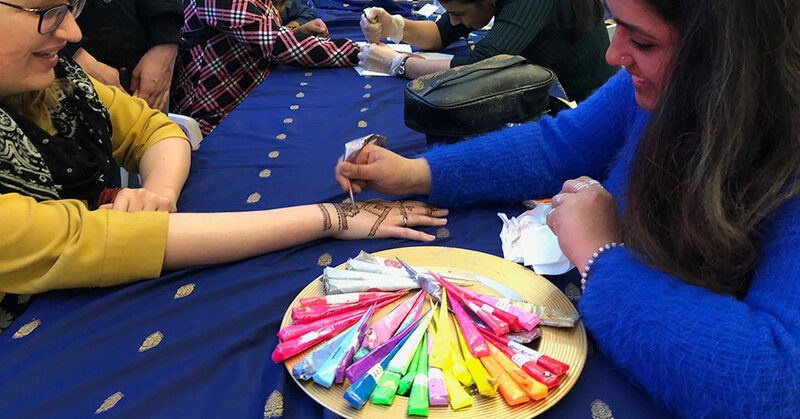 There was also the chance to get a beautiful personalised Henna tattoo by Asma Henna Artist, Roshni Jadav or sparkle tattoo by Dolly Mix Stencil Sparkles throughout the night, and all entertainment was enjoyed completely FREE of charge. 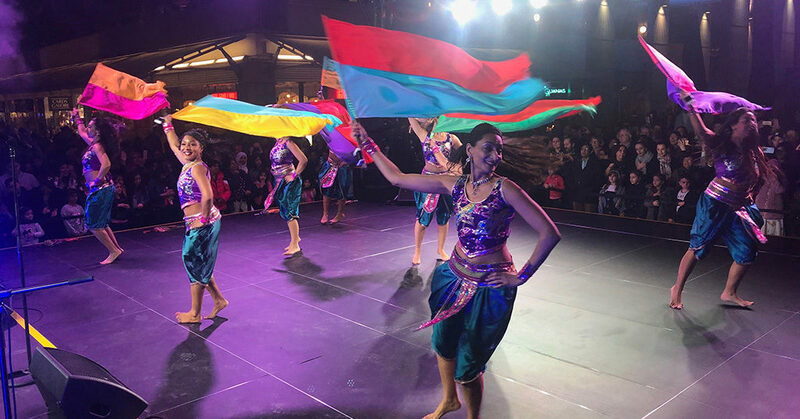 The whole night was the perfect way to unwind into the weekend with a huge celebration of culture and community and we can’t wait to do it all again! 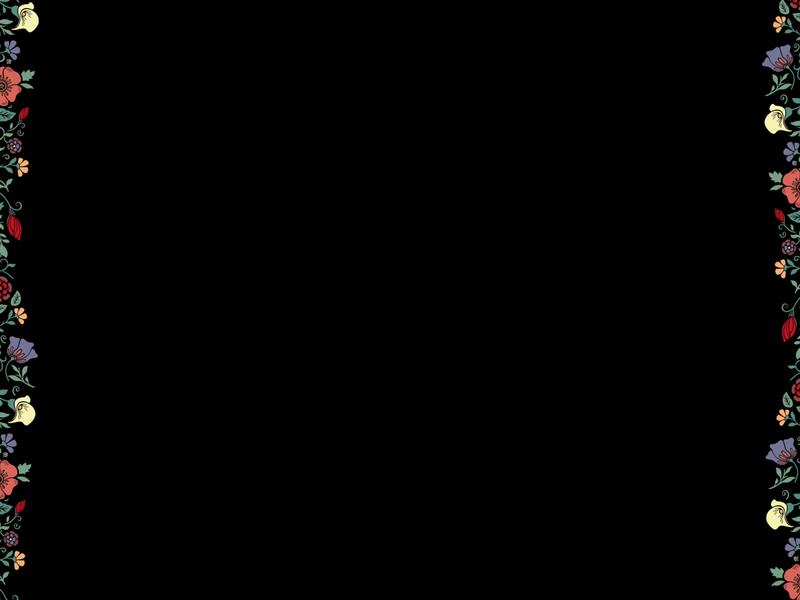 Watch this space for details of future events and follow us on Facebook, Instagram and Twitter for pictures and details of the night #GOBOLLYWOOD.